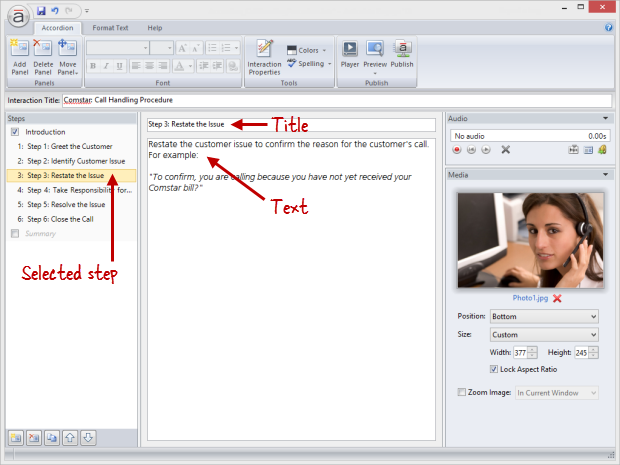 Select an item in the Steps panel on the left side of the screen, then use the center panel to enter text for it. Type your text, or copy and paste it from another source. It couldn't be easier. Hover over any button in the ribbon to see its function. You can apply formatting to a word, phrase, paragraph, or an entire step. To quickly select a word, just double-click it. To quickly select a paragraph, triple-click any word in the paragraph. Click the Clear Formatting button to return the selected text to its default attributes. Go to the first tab on the ribbon, and click Interaction Properties. Select the Colors and Effects tab on the left edge of the window. Use the Title font and Content font drop-downs to choose your fonts. The title font is used for the title of your interaction and the title of each individual step. The content font is used for the details of each step in your interaction. Left-click any color scheme to apply it to your interaction. Right-click any custom color scheme to Edit it. 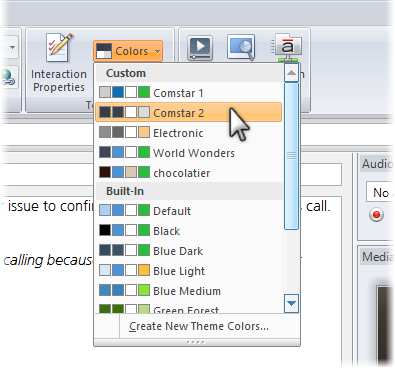 Choose Create New Theme Colors at the bottom of the list to create a new scheme. 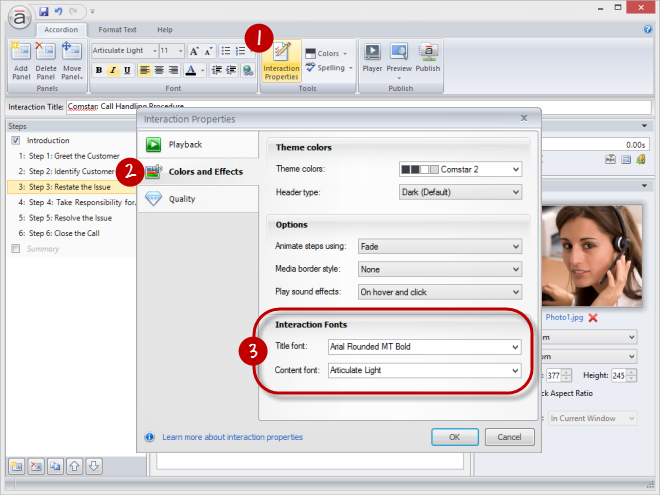 To learn more about working with color schemes in Engage, see this tutorial.